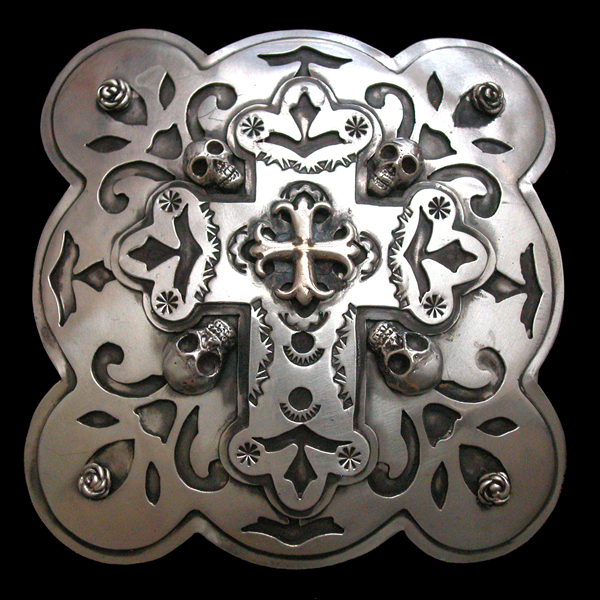 This is our collection of sterling silver concha belt crosses & buckles. We can fabricate these in solid sterling, a mix of sterling and 18k gold with precious and semi-precious stones. There are generally 8 crosses on one concha belt, plus the buckle. We can create custom concha belts upon request.